Like many people, I have a lot of emails to respond to. Naturally, work emails are most important. Secondly, you have personal yet important emails to review. Then you have family and friends sending emails that remind you of the importance of relationships. We live in an email driven society. 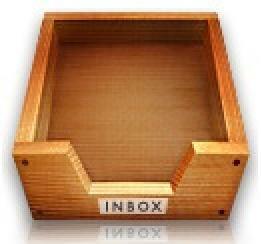 I saw a video that revealed the “Inbox Zero” method. The video fueled my curiosity about getting my inboxes to a point where I can say that every email is accounted for. I said “inboxes” because I have 3-4 that I operate from. I’ve noticed that at least 2 accounts mirror one another. I want to shift away from one of those two in particular. During the video, the concept of “Email Bankruptcy” was mentioned. While Merlin Mann did not promote the concept, the mere mentioning of it caused me to think deeply about it. I am tempted to declare email bankruptcy on one of my accounts. I want to find a way to capture all of the senders of email to that account, send out one mass email noting a) I acknowledge that I’ve not responded to an email sent by the sender, b) If it is still relevant and important to the sender, they can send it again, c) I apologize for the inconvenience and lack of consideration and d) Where they can send all new emails. If anyone knows how I can do this, please feel free to share it with me. Also check out this article that details notables who’ve given up on their e-mail and three who found a better way. Click here. Tags: Checking emails, Email Bankruptcy, Email inbox, Gawker, GoogleTechTalks, Inbox Zero, Merlin Mann, Nick Douglas. Bookmark the permalink.